Get ready for the NHL 2018-19 season with great fan gear from Timex. We’re proud to offer the NHL® Tribute® Collection to hockey fans everywhere so they can complete outfits from gameday to everyday. 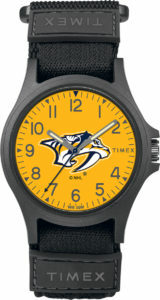 No matter who your team is, Timex has the right timepiece to show your pride. 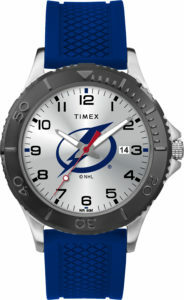 The Timex NHL® Tribute® Collection features all 31 teams and has styles for men, women and kids. 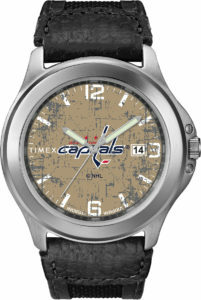 Display your team loyalty with carefully crafted and meticulously styled NHL watches that include the logo and colors of your favorite team. Will Lightning Strike: Last year Tampa Bay took Washington to the brink before bowing out of the playoffs in a tense 7-game series. Tampa Bay won the Atlantic Division last year and will need to fend off likely contenders Boston and Toronto to make another run. Caps Off: After a 44-year wait, Capitals’ fans got their title. An inspiring season by Washington ended with four straight wins over the Vegas Golden Knights to win the Stanley Cup® Championship. Can the Capitals win another Stanley Cup Championship? Nashville Predators Prepare to Pounce: Close will only get you so far. The Winnipeg Jets put the brakes on the Nashville Predators’ 53 wins last season with a classic 7-game Western Conference second-round matchup. The core of Nashville’s team is intact and this year could be a telling season. What Were the Odds: Beginner’s luck or instant chemistry? Last season, the Vegas Golden Knights, made the finals in their inaugural season, only the third team in NHL history to achieve such rapid success. As Vegas gets ready for their second season, what do the cards have in store? Those are just some of the NHL teams making headlines. 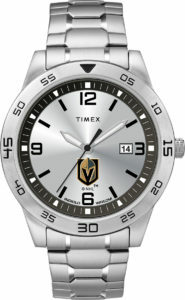 Whoever you support, prepare for the highly-anticipated NHL 2018-19 season with essential fan gear from the Timex NHL® Tribute® Collection.